Until the early 1960s, allergic diseases caused by pollen such as hay fever were considered rather rare in Japan. Dr. Yozo Saito presents his review article in this issue (pp. 203-210) on his discovery of Japanese cedar pollinosis (allergy caused by Japanese cedar pollen) as well as his epidemiological study of the pollinosis. Dr. Saito was a graduate student in the Department of Otolaryngology, presided over by Prof. Shinsaku Horiguchi, in Tokyo Medical and Dental University, and was sent to the Nikko Hospital of Furukawa Electric Co. to work in the otolaryngology department. In the spring of 1963 he encountered 21 patients who complained of allergic symptoms of the nose and eyes. 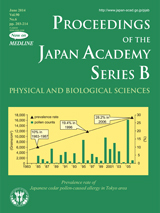 Since the patients claimed that they had the symptoms from March to April every year, Saito suspected pollen as allergen causing the disease, conducted a field study of pollen in the air in this district, and found that the Japanese cedar pollen increased also from March to April, simultaneously (see Fig. 1 in his review). His subsequent various tests confirmed that the allergic disease is indeed caused by Japanese cedar pollen. The cover illustration was reproduced from the Fig. 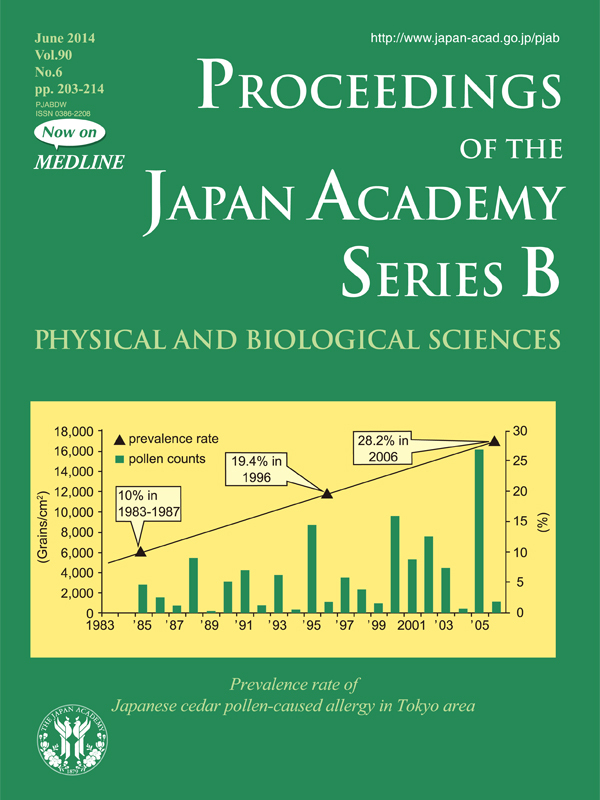 5 in Saito’s review and shows the relationship between the prevalence rate of (percentage of patients with) Japanese cedar pollinosis and the cedar pollen counts in the air of Tokyo area. It is remarkable that the prevalence rate of the pollinosis in 2006 was 28.2 %, which means that one among 3.5 persons was suffering from Japanese cedar pollinosis.